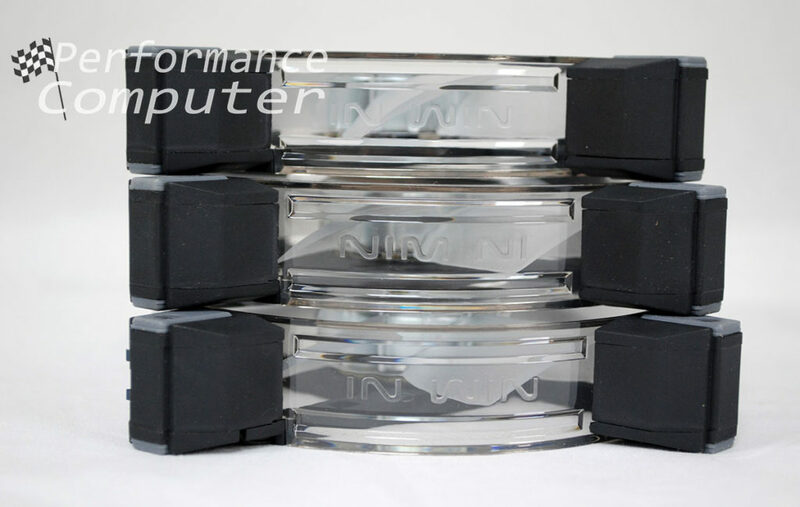 We were shipped both the twin and single pack for a total of three 120mm In Win Polaris RGB fans. Keep in mind that Polaris RGB fans utilize a daisy chain connection meaning that you need a minimum of two for them to function. More on this later. The exterior of the box has the In Win and Polaris RGB branding. The single pack has a warning at the bottom displaying the two-fan minimum requirement for daisy chain connectivity. Included in the twin pack are the fans, 8 case screws, two connection wires (long and short) which have both the fan connector and RGB connector built into a single wire. Also included is an RGB testing pin as well as the daisy chain cable. The single pack includes a fan, 4 case screws, one short connection wire and the daisy chain cable. Upon unboxing these fans, I have to say they are easily the most well-made fans I have ever seen. This is coming from years of using quality fans from the likes of Corsair and Noctua. 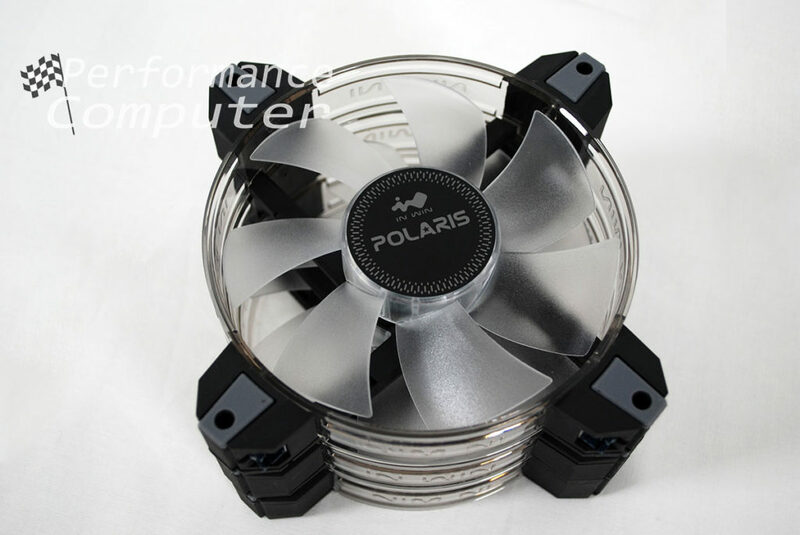 The Polaris RGB fans have a great weight and a clean and minimal design. The vibration dampers present on each corner are very well made and are secured and integrated into the frame for maximum vibration reduction. 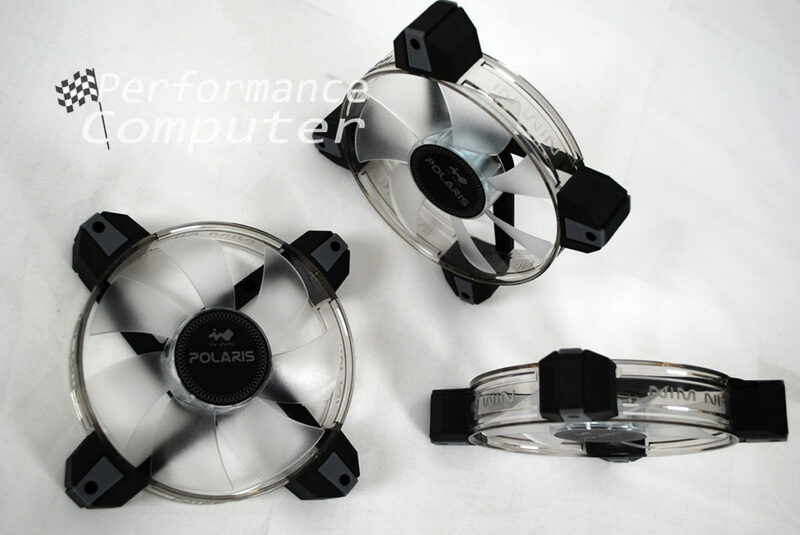 In Win just won the design race with these fans, they really are that exceptional. 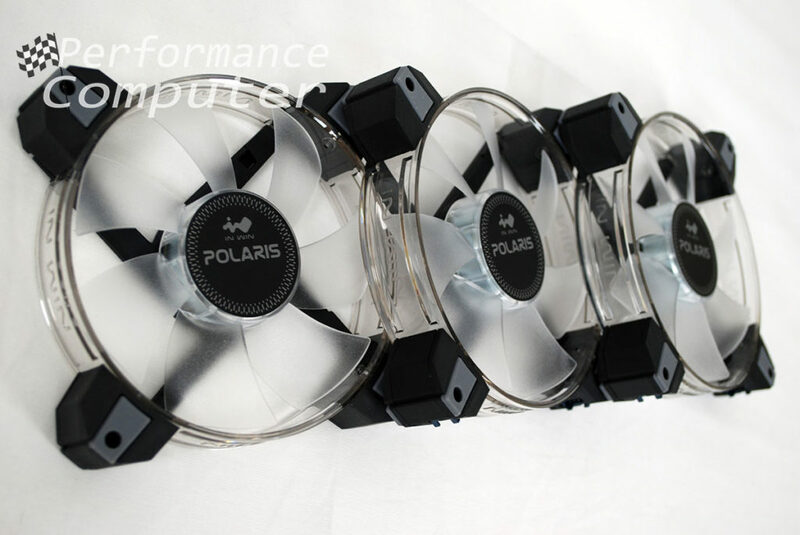 Possibly the most exciting aspect of the In Win Polaris RGB fans is their ability to daisy chain together. Essentially what this means is that instead of running a fan wire for each of the three fans, we’re able to use one wire to connect all three to our motherboard. 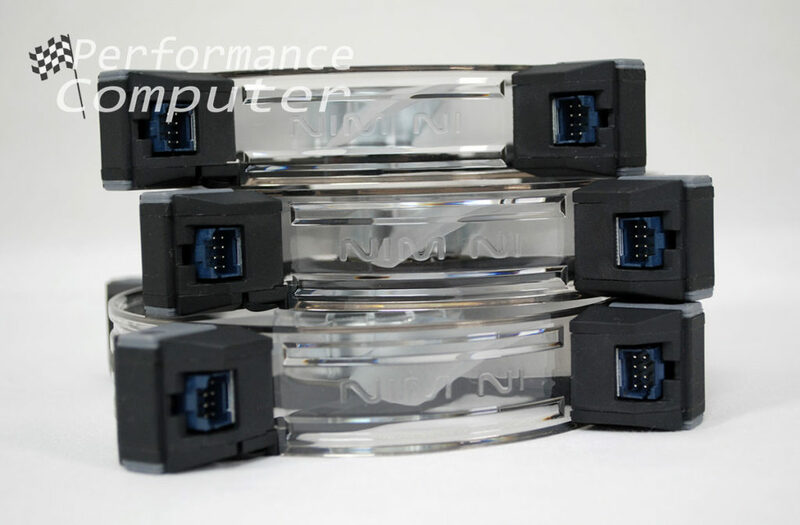 Also, keep in mind these are RGB fans which traditionally entail running 3 additional wires with RGB connectors to the header on the motherboard or to a hub. However, In Win created an ingenious solution to the rat’s nest of wires from which multiple RGB fan systems typically suffer. Every Polaris RGB fan has two connection ports on the bottom corners. If you’re running two or more fans side by side, you can use the very short daisy chain connection wire to chain them together. You then run one connection wire from the primary fan to the motherboard. As we mentioned earlier, In Win supplies both a long and short connection wire in the twin pack. The connection wire has a proprietary connector on one end which plugs into a Polaris fan and both the fan header and RGB header connectors on the other end. We set up two Polaris RGB fans on our AIO liquid cooling radiator and we mounted the third fan in the back of our In Win 101C case. After screwing two fans onto our radiator, we plugged the short daisy chain connection wire into an available port on each fan to connect them. We then installed the third fan in the back of our case and used the short connection wire to daisy chain it to the bottom fan on our radiator. Finally, we ran another short connection wire from our top radiator fan to our motherboard fan & RGB headers. In our setup, we connected three fans with two wires. 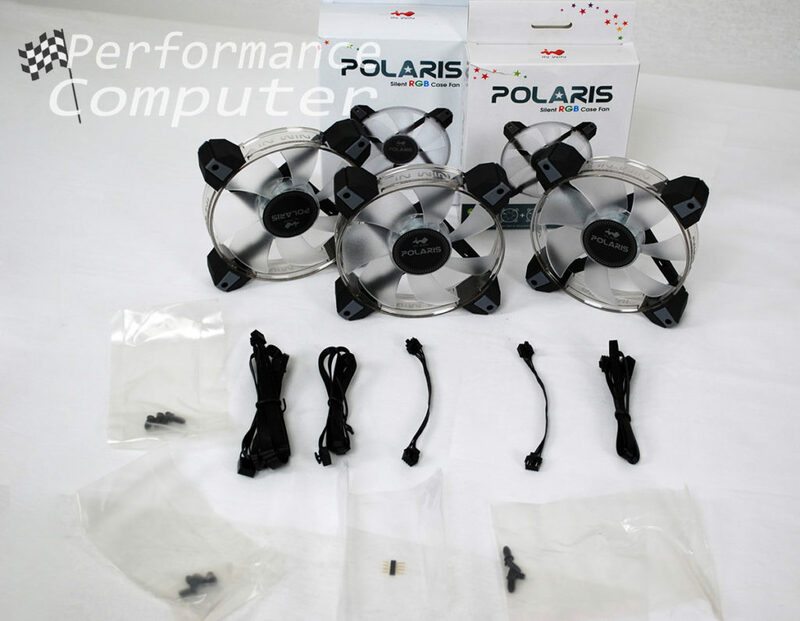 Had we been using all three on a 360mm radiator, we could have used the second short daisy chain connection wire and run all three fans on a single wire back to the motherboard. In any case, In Win’s highly intelligent solution made our cable management job much easier and far less tedious than it typically is with multiple RGB fans. Our first observation was that these fans run nearly silent in our build. After replacing the stock fans on our EVGA CLC 240 AIO liquid cooler, the temperatures on our i7-8700K essentially remained the same as we weren’t running the stock fans beyond 1500RPM. However, we were not expecting a huge temperature decrease. These fans are made for silence and they do a great job in achieving that goal. In fact, I will always choose silence over temperatures. 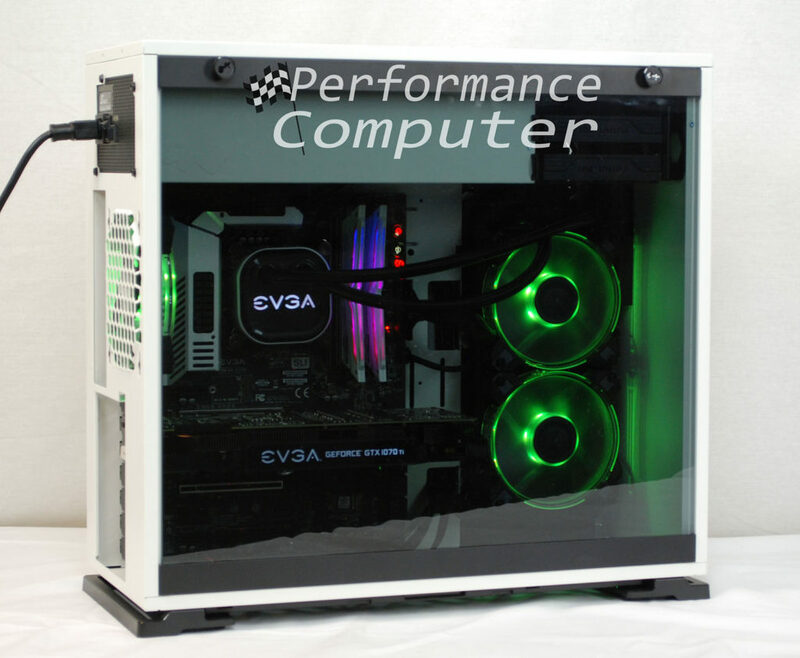 I’ve been around many high-end custom liquid cooled computers over the years and many of them sound like jet engines with their push-pull fan setups geared for the lowest temperatures possible. The In Win Polaris RGB fans are made with a sleeve bearing and are rated for 35,000 hours of use. It’s worth noting that In Win also makes a fluid dynamic bearing version of these fans and those are rated for 60,000 hours of use. In Win warranties the regular Polaris RGB fans for two years which is very reasonable while their aluminum variant includes a five-year warranty. At their price point, these fans cannot be beat. 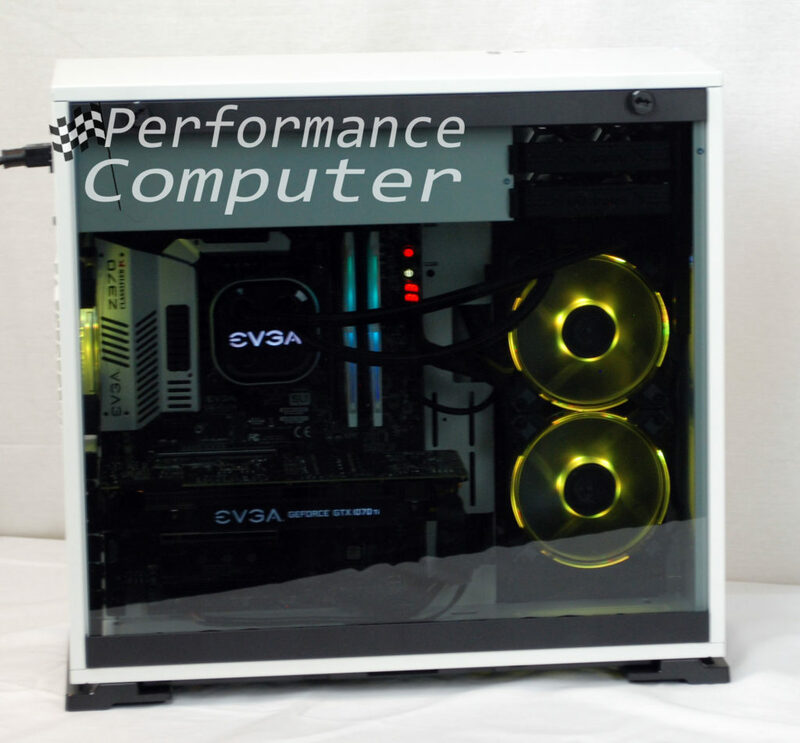 The high level of craftsmanship, attractive design and silent operation should be enough to sway even the most die-hard system builders to give In Win’s fans a try. Add in their brilliant (and industry best) ability to daisy chain and run both the RGB connection as well as the fan connection off one wire and you have a compelling argument for some of the best fans ever made. 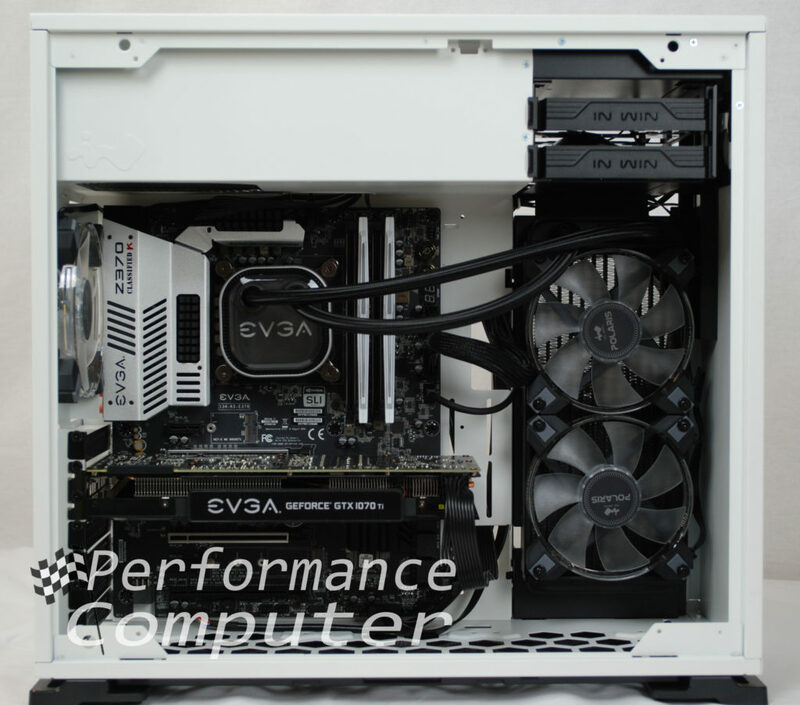 Therefore, we highly recommend the In Win Polaris RGB fans and praise In Win on a job well done!